So weird to see Fox stuff on Disney. I mean, I know they own all that stuff now, but still seems strange. I hope some of their new projects end up on one of their TV channels. Yeah I still find it weird to see the Simpsons in a Disney program. What’s next, Family Guy and King of the Hill lol? I notice that Disney does have plans for projects for members like more TV series on the Marvel characters and more Star Wars content. Not gonna lie the only things that have me intrigued with the service are the new season of the Clone Wars and maybe that Mandalorian show. I still need to watch all the Clone Wars seasons, but I did hear the show was great. Now that we’re getting a new season, it’s going to be interesting how they going to lead up to Episode III. That Mandalorian show is interesting and I don’t know much about it to be honest. It looks like it’s going to be a bounty hunter story. The show was good but it didn’t become great until the last two seasons. They already had the ending planned out and even had some partially CGI animated episodes on the Star Wars website. 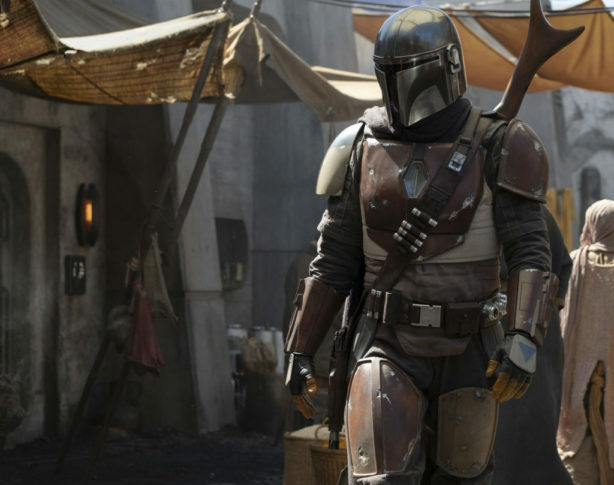 The Mandalorian show definitely is gonna be about a bounty hunter but it’d be cool if the character was Kal Skirata or the bootleg Boba Fett. Oh really? I did remember hearing the last season was supposed to be good like how Anakin grew darker in the force. That Mandalorian show is going to be interesting. I feel like it’s going to be something like Rogue One or Solo. Yeah, the first few seasons had their moments but overall were just decent. The last two seasons were just banging out great episode after great episode. Yeah from I heard, it had a good start of the series thanks to the movie. Once we got the last seasons, it was good and then sadly got cancelled. Now with the Disney+, we’ll be able to get more Star Wars adventures. I should binge on the show before it gets removed from Netflix.